IWF - Takeaways: What Drives the Wage Gap? Women’s average weekly earnings in full-time jobs were 82 percent of those for men in 2016. Some who celebrate "Equal Pay Day', the date when women finally earn enough to make up for last year's wage gap, say this gap is driven by gender discrimination in the workplace. But that's not an accurate picture of how America works. 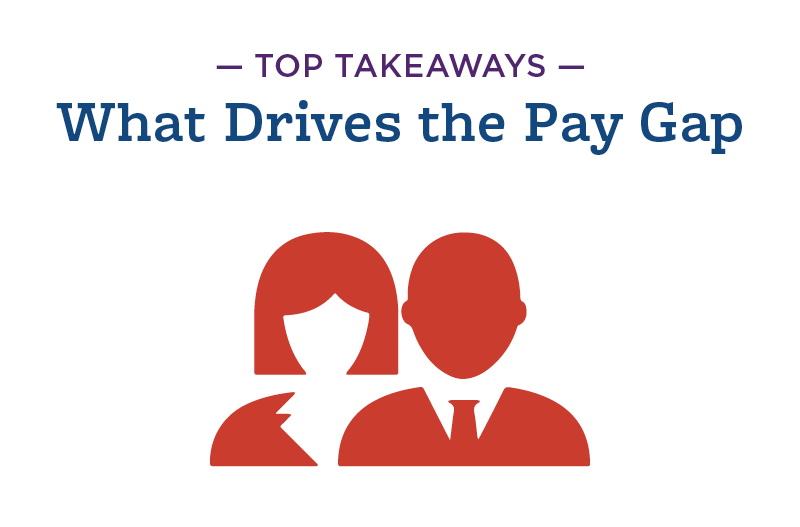 Here are the key takeaways that explain what really drives the pay gap.